Several weeks ago I decorated the house for Valentine's Day. 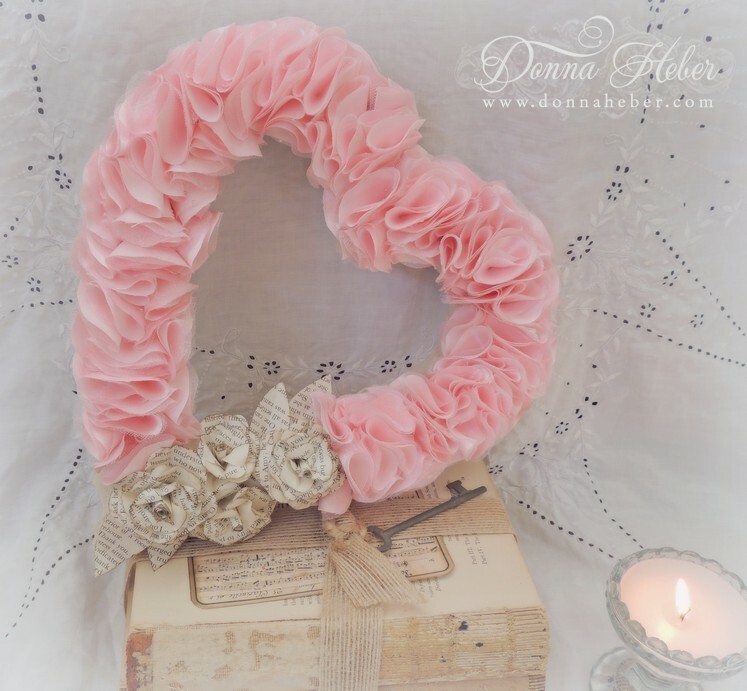 My heart wreath made from layers of silk organza fabric with vintage paper roses. The roses are from book pages and edged with ink. A sweet Valentine basket holds a pink embossed dish with ivory ribbon. 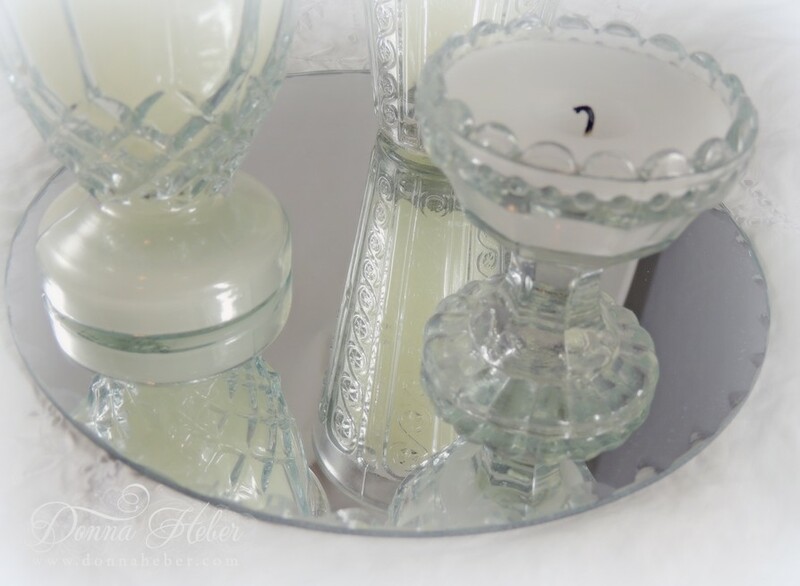 This round scalloped edge mirror is the perfect centerpiece for rose scented candles. I just love the reflections the glass jars cast. 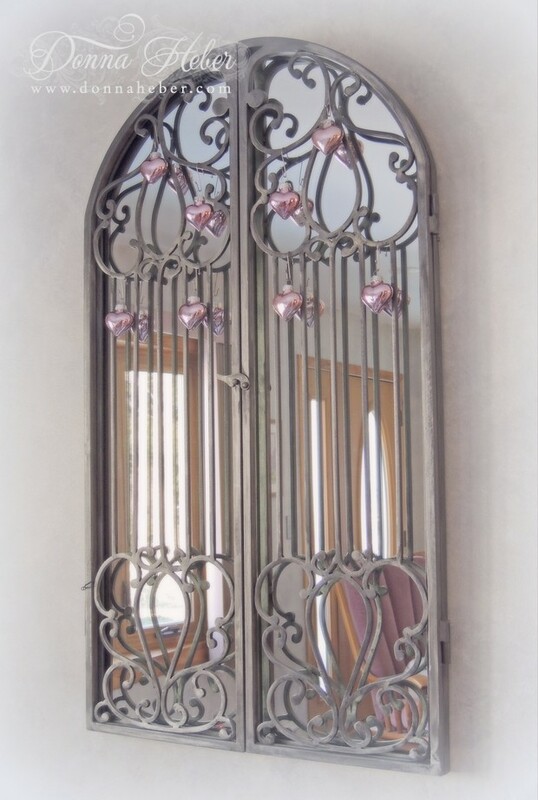 Hearts dangle from a wrought iron mirror in the parlor. 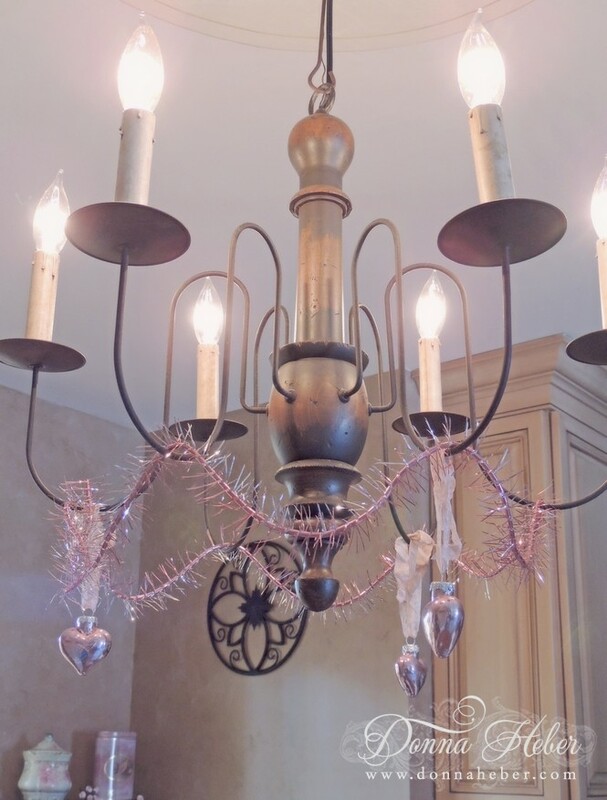 They have even made their way to the chandelier. 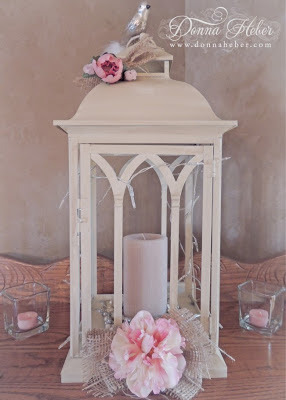 I've dressed up my lantern with pink silk flowers. Vintage heart ornaments are strung across a faux whitewashed window. 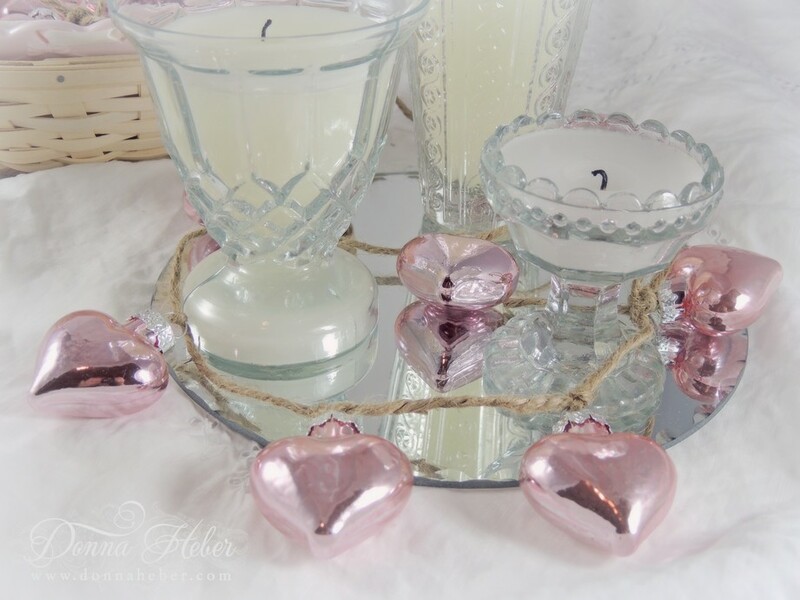 Have you set the mood with decor that radiates romance? Wishing you a week filled with lots of love! 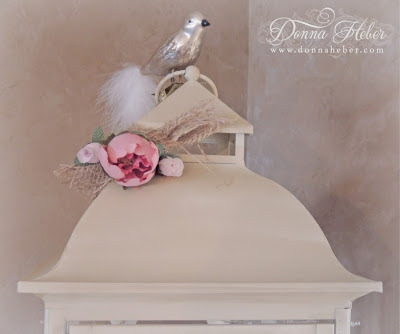 wow this is very romantic Donna, beautiful decorated. You have decorated your home beautifully. The pink heart is just gorgeous. Traditionally we think of red for Valentine's Day, but I love the gentle colour of pink....so lovely. Have a fabulous Valentine's week. Very pretty! 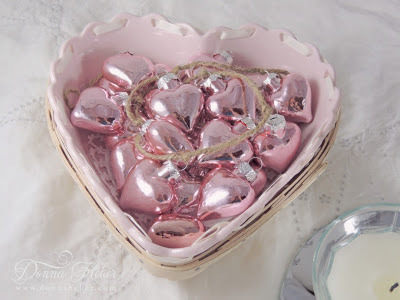 I love the little pink ornament hearts! So cute! You sure have the valentines design down. Donna, this is so pretty and romantic. I love the wreath, very pretty and the mirror looks great. 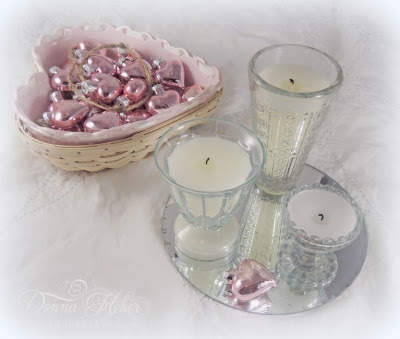 So pretty Donna, love all the pink! Gorgeous photos. Love the soft and pretty decor! So lovely! You have a gift, definitely. I just found you through The Dedicated House. I'm your newest follower. I'm hoping you'll follow back at www.crazythriftycrafts.blogspot.com. Thanks for sharing! 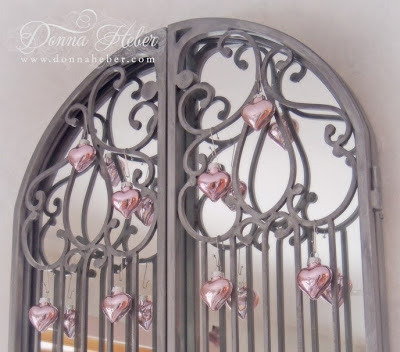 Your romantic Valentine's decorations are perfect, Donna, and I love the mirrors that you used. 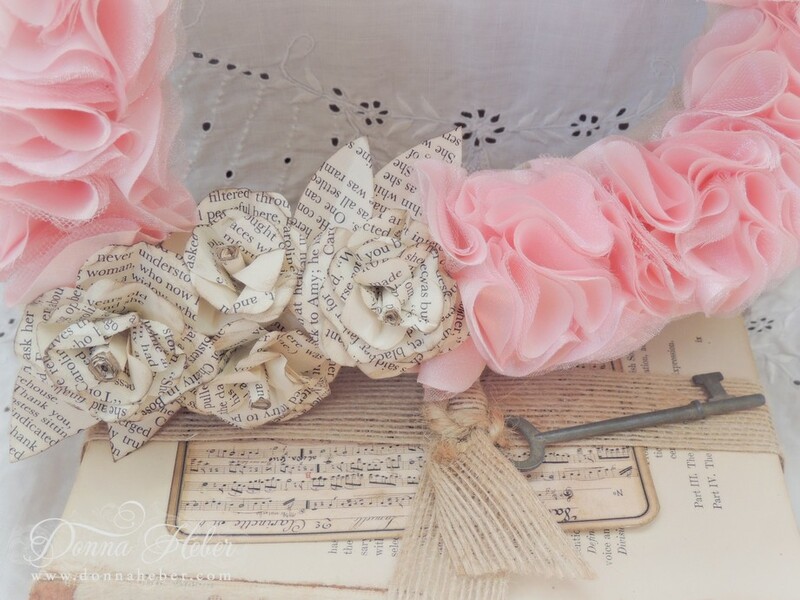 The pink silk organza provides a beautiful contrast with the paper flowers--I really like that. I hadn't decorated much for Valentine's Day in times past, but this year I did! Your photos are lovely too, those subdued colours are very romantic. 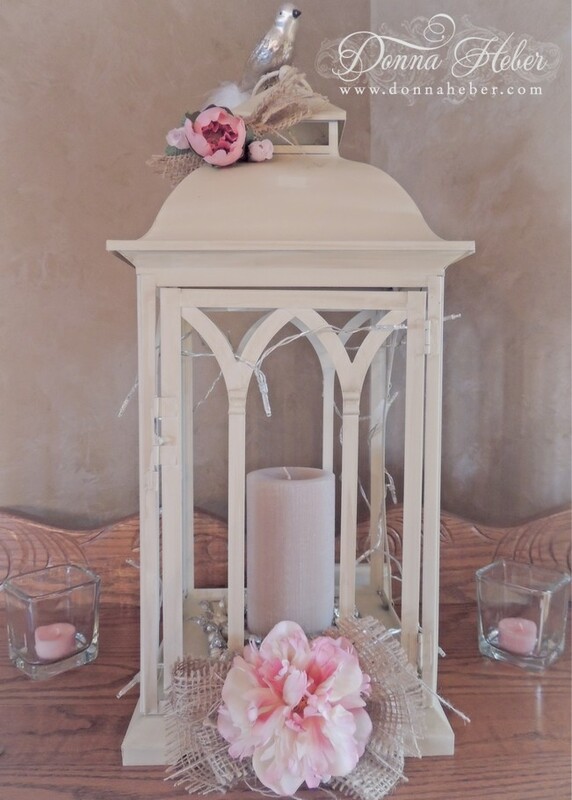 Such a beautiful romantic decor! 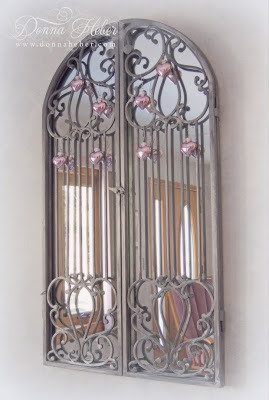 I loved that mirror in the parlor! awesome! Beautiful Donna! 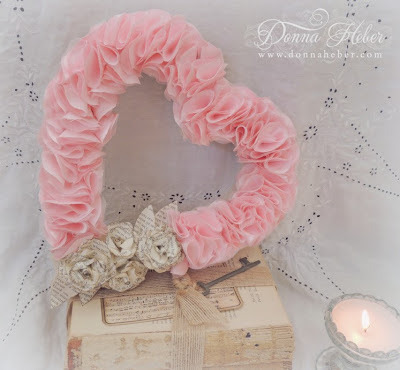 I love your Valentine wreath... so pretty with the paper flowers. Hello, my Dear! I've come to you from The "Grow Your Blog" party...it was over before I knew about it, but it was so nice of Vicki to leave the list up! Anyway, I always welcome new blogs to enjoy, and yours is delightful! I am now following you ~ please come and visit me if you get a chance! wow, never thought to decorate for Valentines day. 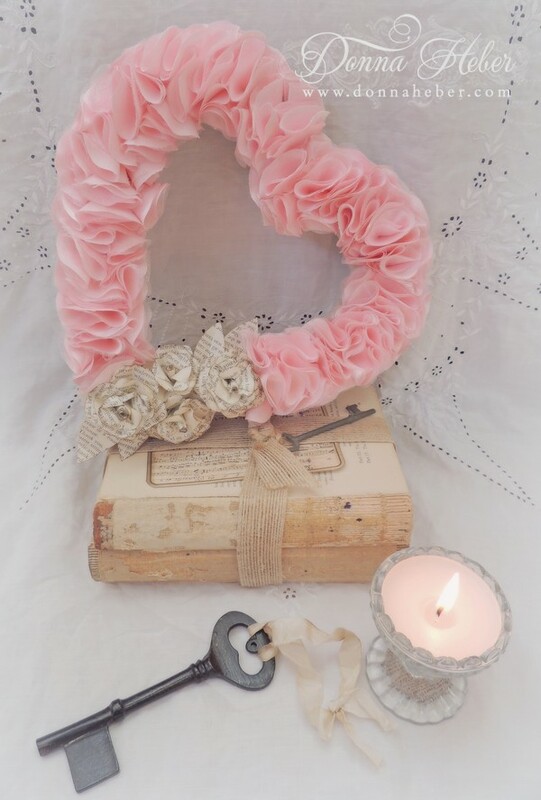 your heart wreath is stunning. I like that metallic pink! 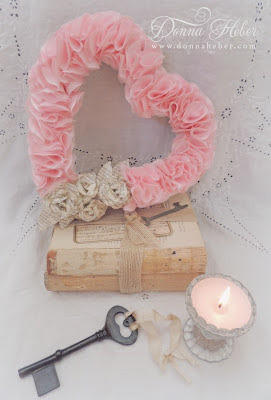 Everything looks just beautiful - I adore pink for Valentine's day ( instead of red ) and that wreath? Well I'd be keeping that out year round - gorgeous!!! That is such a gorgeous wreath! I love the music notes roses. Thank you so much for sharing on Show Off Friday and BTW I think you have such a pretty blog design. 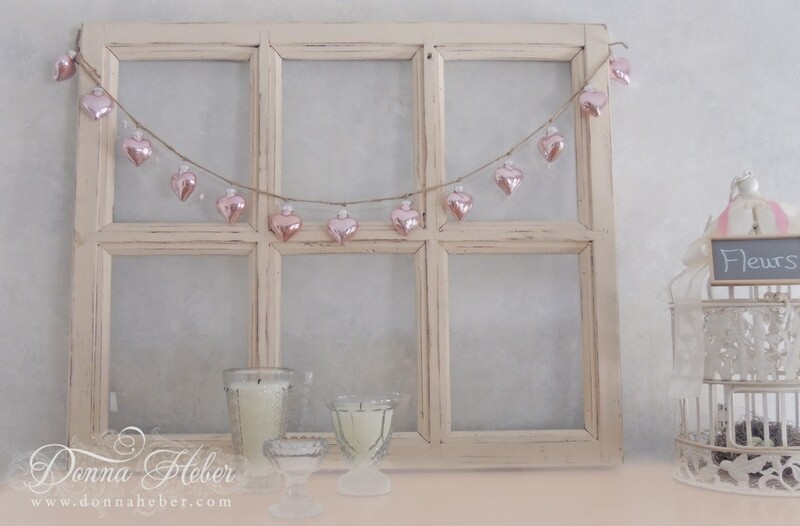 Your valentine's decor is simple yet so romantic! Just lovely! All is so lovely Donna. I adore your wreath!